Hey, this will be a very quick post. One of my illustrations was featured over at Skulladay.com today. You can go check it out here. While your at it, you can click the link below to check out the entire site. 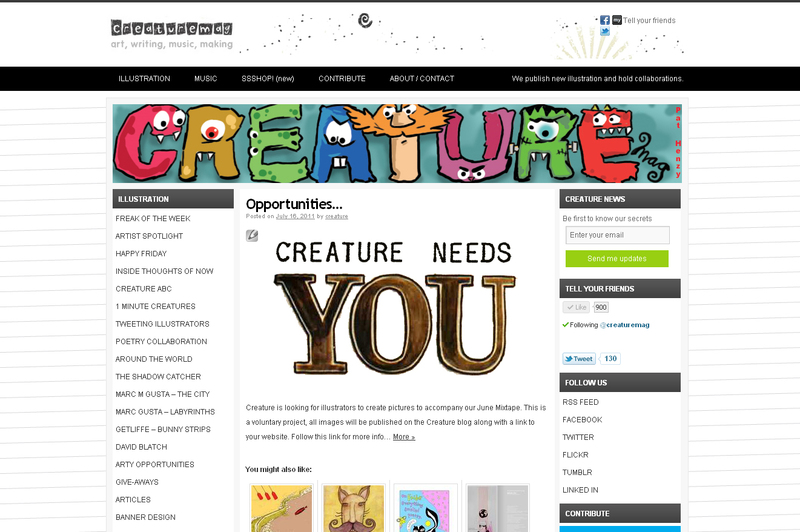 I made a banner for the website Creaturemag.com. I found the website last night and really like it. It features artists/illustrators and musicians. I submitted the banner I made for their website this morning and I already got a response that it is going up on the site! It will be up starting next weekend! It will be in rotation with a couple other banners on the site. The site is really cool and they have a monthly mixtape that you can download for free!